IDOLONSTUDIO and LEAP present "Urban Flashes III (城市閃爍III)". The exhibition will open on February 10 and will be on view until February 18. The opening on Friday, February 10 at 8pm and will include a live concert by sound artist CHANG Yung-Ta & YEH Ting-Hao and sound artist Jamie Allen beginning at 9pm. The concerts will be available via livestream on http://bit.ly/uXRgyq. The exhibition "Urban Flashes III" are bring together of W.A.V.E. (城市微幅) by YiLab (一當代舞團) and Refractive Index(work in progress) by Jamie Allen. W.A.V.E.by YiLab; Massive invisible artificial waves, including sound wave, light wave, magnetic wave, radiation or cloud (cloud computing), have occupied our living space. They affect the focus of life and the condition of right allotment for urbanites. Henceforth, have their bodies (been) freely penetrated in all aspects of space? The installation of W.A.V.E. intends to capture the transparent actions and figures in the city. Meanwhile, it marks one floating boundary among those invisible signals, visible human and the crossing urban visions of days and nights. YiLab (一當代舞團). Founded in 2005 by SU Wen-Chi in Taiwan. YiLab. is currently working on integrating new technology with performing arts, and seeking to present new performing formats. YiLab. 's philosophy is: in a work, there is not just one single director, only concepts that appear similar but actually in conflict with one another; every artist involved is an independent entity who can create their own work, freely put forward different viewpoints and undertake in-depth exploration of the core significance of theme. SU Wen-Chi (蘇文琪) Trained in Taiwan as dancer and afterward in new media art, Wen-Chi has been working between Taiwan and Belgium. Since 2002, she is the core members of the Belgium's Arco Renz / Kobalt Works contemporary dance company, in 2005 she found YiLab. 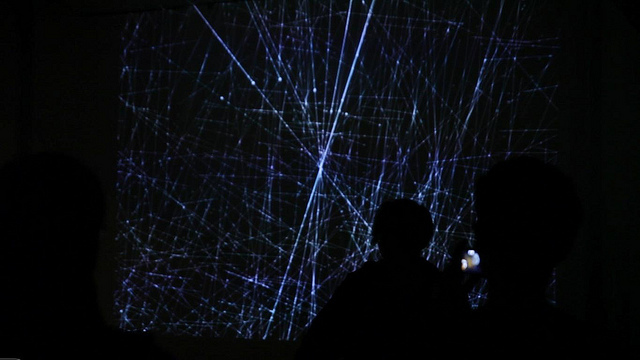 in Taiwan, an experimental group of new media performance. Since 2002 Wen-Chi engages in an ongoing discourse that confront her own artistic and cultural background with her experiences in Europe. Since 2007 her artistic research has shift to combining dance with plastic art and new media art, she created a dance installation "Attention Travaux" (2007), multi-media performances "LOOP ME" (2009) "ReMove Me"(2010) and W.A.V.E. (2011). CHANG Yung-Ta (張永達), is autodidact and residing in Taipei currently. 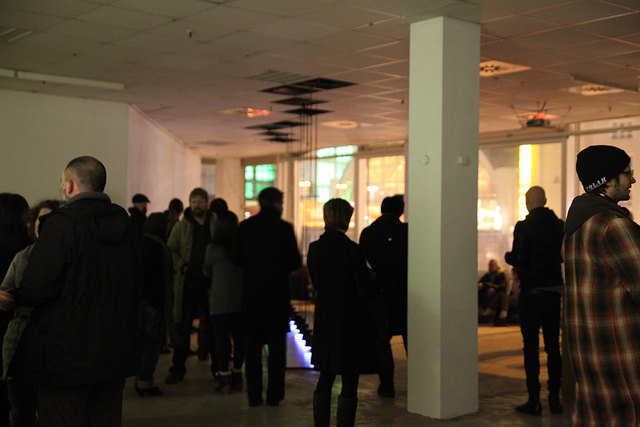 Yung-Ta's works take on a variety of forms such as Audio-Visual, experimental sound, installations and live performances. 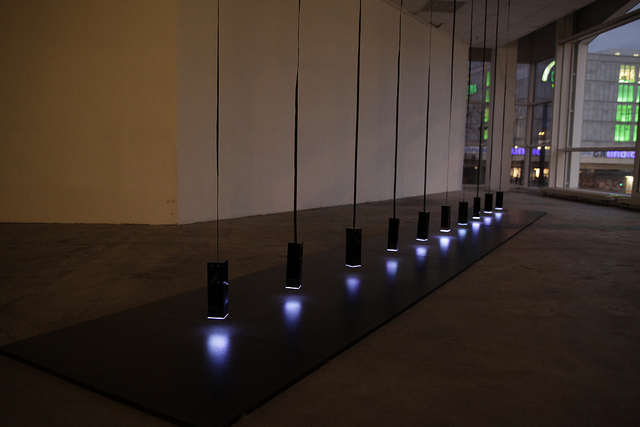 He composes time-based sculpture with field recording sources and digital generated noise where the exquisite and violent coexist. He tries to combine minimal, ambient and complexities and find the possibility. He is good at making real-time generate Audio-Visual which synchronized and present the detail, high quality video work. In recent years, also collaborated with independent dancers and visual artists. His works has been featured in numerous group shows and festivals throughout Asia, Europe, North and South America. 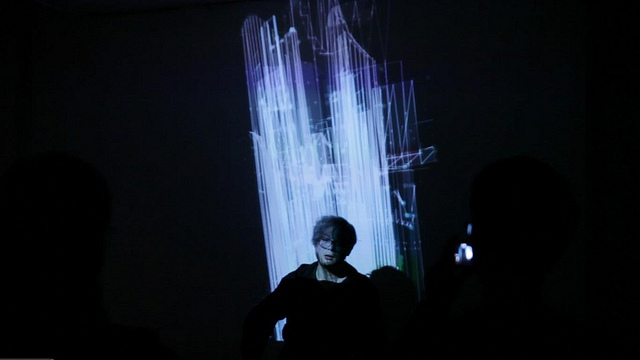 YEH Ting-Hao(葉廷皓), His work focuses on the relationship between media art and sub-cultures, especially in the field of audio-visual performances. Because of his background in digital animation, he is particularly dedicated to live performances based on Real Time-Processing. Refractive Index (work in progress)by Jamie Allen launches a multi-city nighttime installation programme for large-scale public digital media displays. In collaboration with London 2012 Creative Programming and the BBC Big Screens programme, and graphics programmers Tom Schofield and David Gauthier, this series of after-dark installation projects for public media facades continues work looking at the way digital media infrastructure changes our view of ourselves. Media systems - particularly as they become increasingly always on and everywhere - are not simply sites of content-delivery. 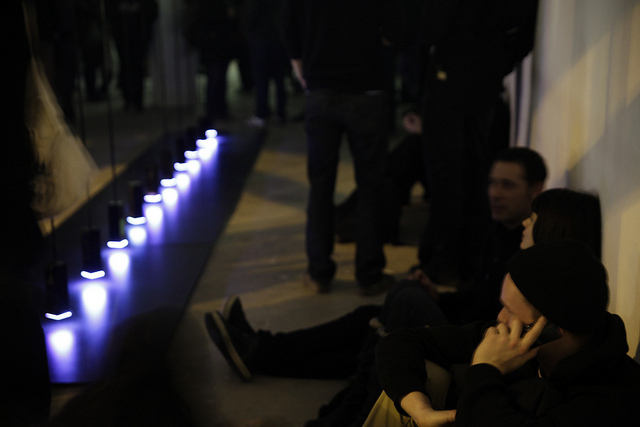 Every pixel we light up, in turn illuminates an environment surrounding it. 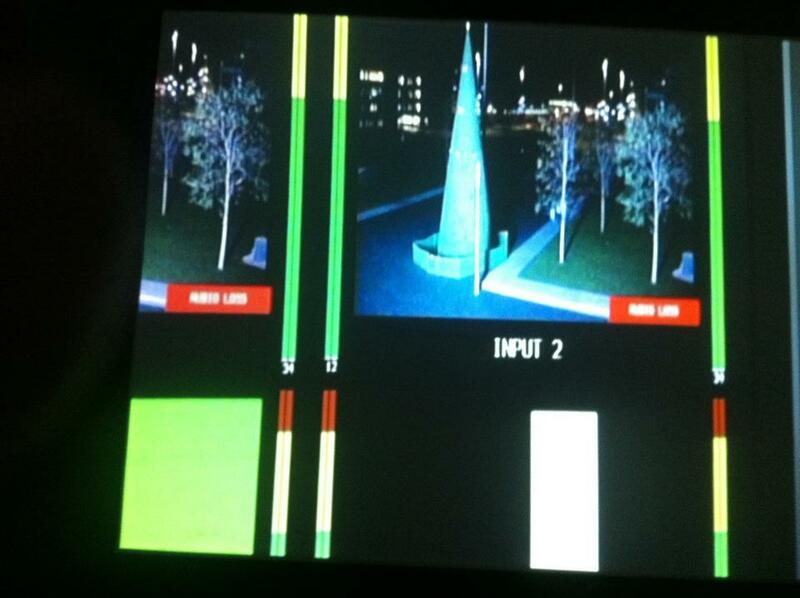 Screens are dynamic stage-lighting for the pageantry of our cities. 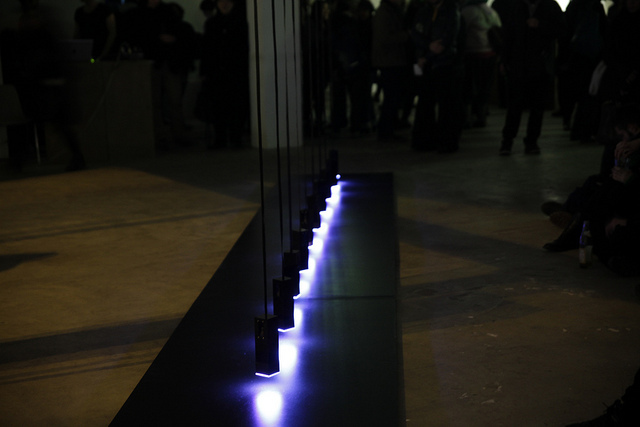 Refractive Index treats digital displays as modern-day camera obscura for the digital metropolis. 'What does the screen see? Jamie Allen's circuitMusic project started as an exercise in radical improvisation - analog oscillators were built from bare circuitry and a breadboard while performing. 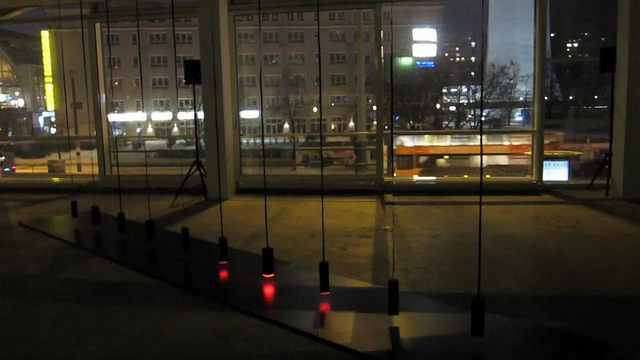 Since then the live show has turned into a noise-synthesis project where signals from the home-made performance rig are offered to the audience as both audible sound and stroboscopic light. 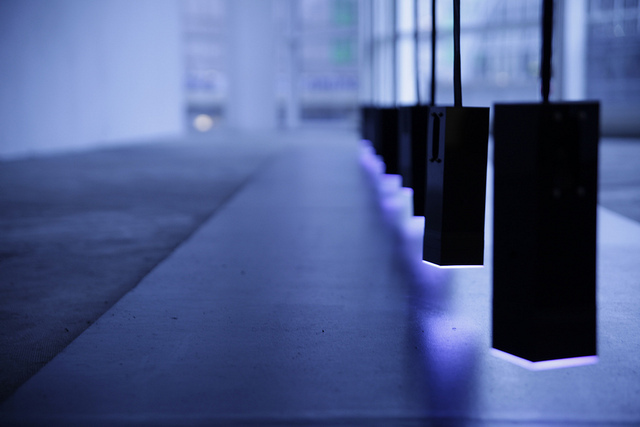 Light and noise are shaped and into drones and pulses of raw static and electricity. Jamie Allen is a Canadian anow Copenhagen. 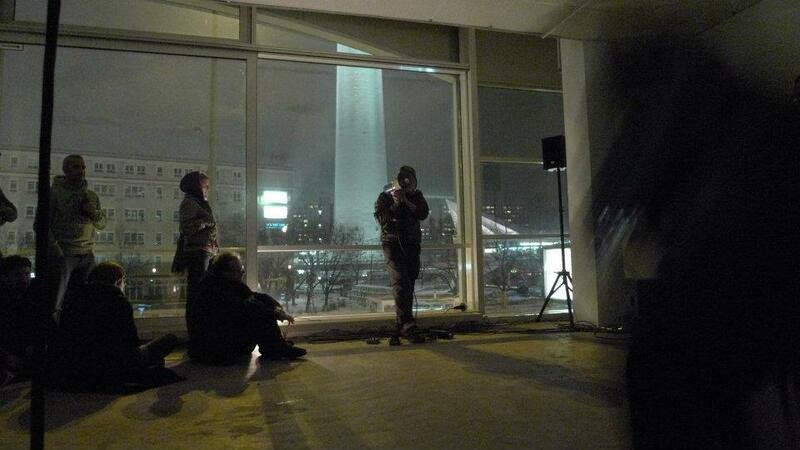 With circuitMusic, he uses raw circuitry components and a megaphone to experiment with the sonic synthesis of electronic and human noise. "Allen's compositions are streamlined, yet remarkably varied with harsh walls of static, dense drones, and playful rhythms all vying for the listener's headspace." 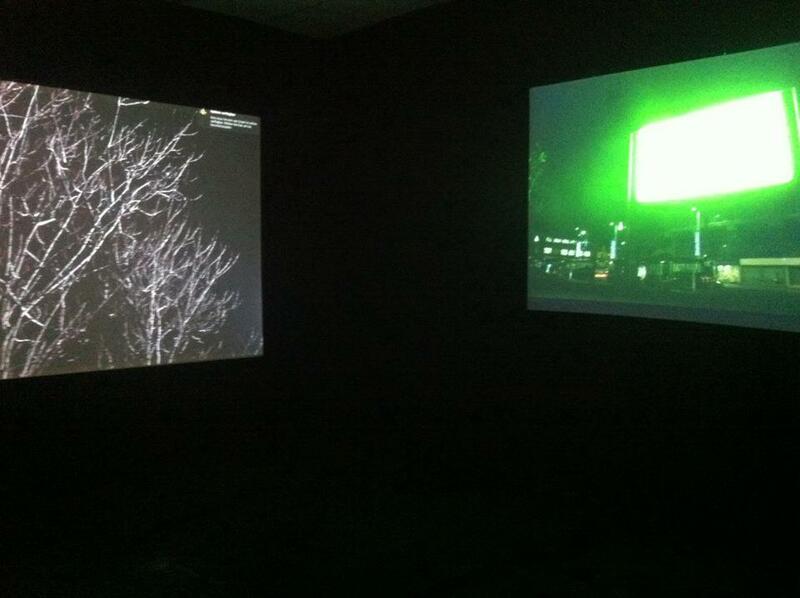 Urban Flashes is four session exhibitions curated by WANG Chun-Chi (王俊琪). 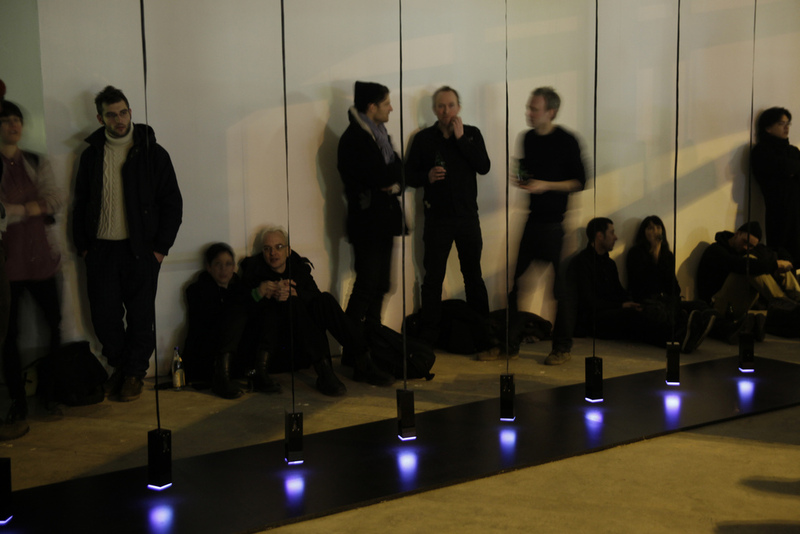 The exhibition series explores the work of four groups of artists who make new media such as light, sound, new technology and installation. Contemporary artists play freely with materials and forms. They construct laboratories of perception, focusing on human perception and the ability to manipulate and condition it. 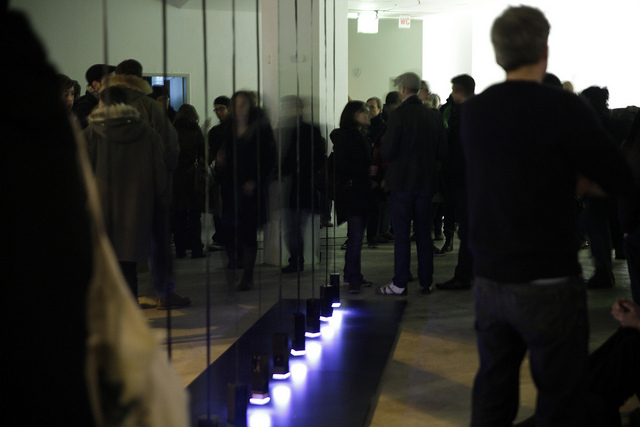 The artists work with a direct reference to the modern environment and use its artifacts such as strobe lights and spot lights to create light spaces situated between sensual experience and scientific experiment. The spatial and temporal structures are deconstructed by means of projection. These four works offer an indication of the future of light techniques at the interface of art and cutting-edge technologies: Urban FlashesI: I will be Broken我會壞了 by YAO Chung-Han(姚仲涵), Urban FlashesII: Volusonogram by Tim Vets, Urban FlashesIII: W.A.V.E 城市微幅 by YiLab(ㄧ當代) and Refractive Index(work in progress) by Jamie Allen, Urban Flashes IV: One Moment in Time by Jiayi Young & Shih-Wen Young. 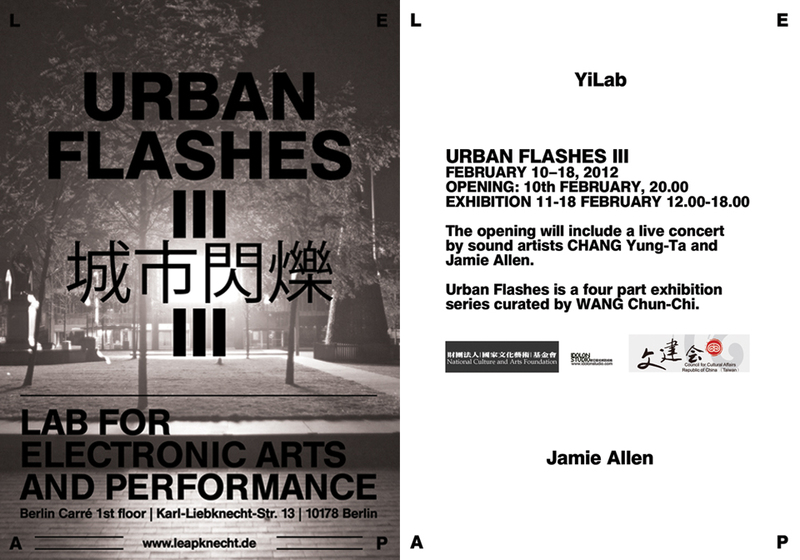 Urban Flashes ist eine Serie von vier Ausstellungen, in deren Fokus die Arbeiten vier Künstlergruppen stehen, die neue Medien wie Licht, Klang, neue Technologien und Installation nutzen. Zeitgenössische Künstler spielen völlig frei mit Materialien und Formen. Sie konstruieren Laboratorien der Perzeption, in deren Mittelpunkt die menschliche Wahrnehmung und ihre Manipulierbarkeit und Konditionierbarkeit stehen. Die Künstler beziehen sich auf die moderne Lebenswelt und verwenden entsprechende Versatzstücke wie Stroboskopleuchten und Scheinwerfer, um Lichträume zwischen sinnlicher Erfahrung und wissenschaftlichem Experiment zu schaffen. Mit den Mitteln der Projektion werden das räumliche, aber auch das zeitliche Gefüge dekonstruiert. sozialer Räume hingehend zu virtuellen Netzwerken. W.A.V.E. interpretiert diese Veränderungen visuell und lädt Zuschauer ein, diese physisch zu erleben. 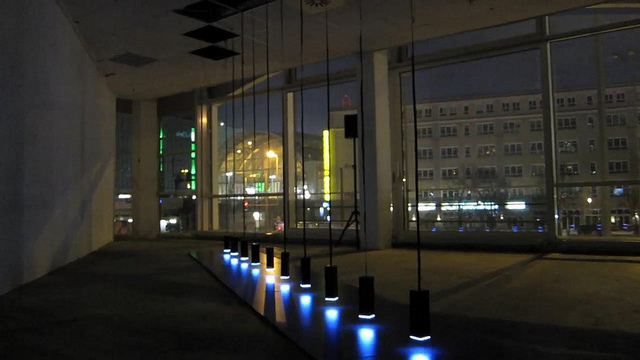 Die Arbeit erhebt sich um die einsame Existenz einer menschlichen Figur innerhalb einer großen Stadt-Matrix, in Form eines virtuellen und interaktiven Netzwerks, das LED-Licht, Ton-Installation und Projektionen vereint. 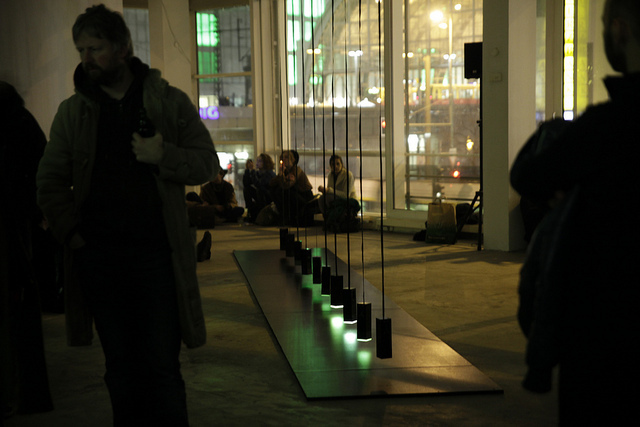 Die Arbeit "Refractive Index" von Jamie Allen ist ursprünglich eine Multi-City-Nacht-Installationsserie für öffentliche large scale Medien-Displays. Die Installation, die in Zusammenarbeit mit dem London 2012 Creative Programming, dem BBC Big Screens Programme sowie den Grafikprogrammierern Tom Schofield und David Gauthier für öffentliche Medienfassaden entwickelt wurde, wirft einen Blick auf die Art und Weise, wie die Infrastruktur für digitale Medien die Sicht auf uns selbst verändert. Medien-Systeme sind, insbesondere, da sie zunehmend immer und überall präsenter werden, nicht bloß Systeme zur Darstellung von Inhalten. 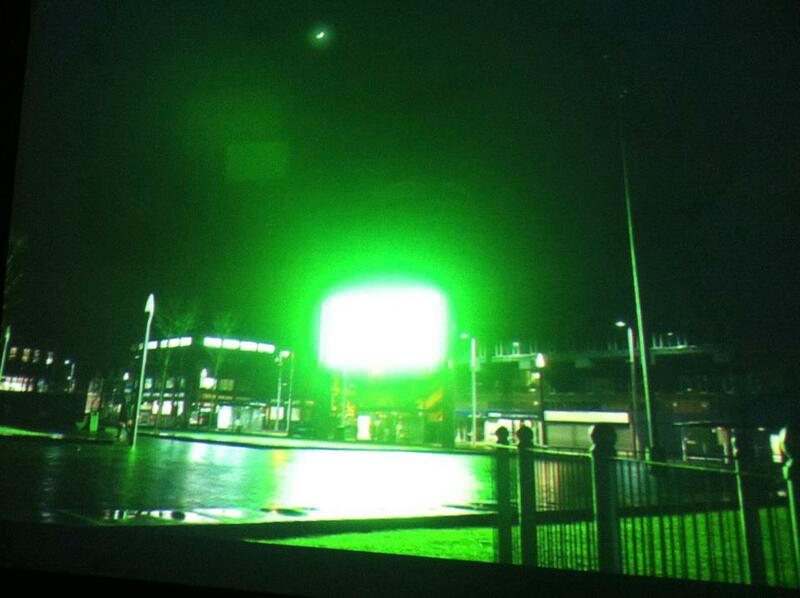 Jeder erleuchtete Pixel erleuchtet wiederum die ihn umgebende Umwelt. Screens sind mittlerweile eine dynamische Bühnen-Beleuchtung für den Prunk unserer Städte. Die Arbeit "Refractive Index" behandelt diese digitalen Displays als moderne Camera obscura für die digitale Metropole. 傑米．艾倫的展覽作品「 Refractive Index (折射率/作品持續進行中) 」/ Refractive Index(work in progress) by Jamie Allen. 開幕現場表演 傑米．艾倫將演出「電路音樂 Circuit Music 」/ Opening concert by by Jamie Allen. 開幕現場表演 葉廷皓 改裝電子產品的即興演出 / Opening concert by by YEH Ting-Hao. 開幕現場表演 張永達 現場即時的audio-visual / Opening concert by by CHANG Yung-Ta.